Get active on your next Ibiza holiday - our series shows you how. For some fun in the sun for all ages, water parks are a great answer. The Aguamar water park in Playa D'en Bossa offers plentiful possibilities to get hearts pumping on your Ibiza holiday. Experience white-water thrills with the infamous "Kamikaze" chute and the hair-raising Black Hole. Just don't look down. 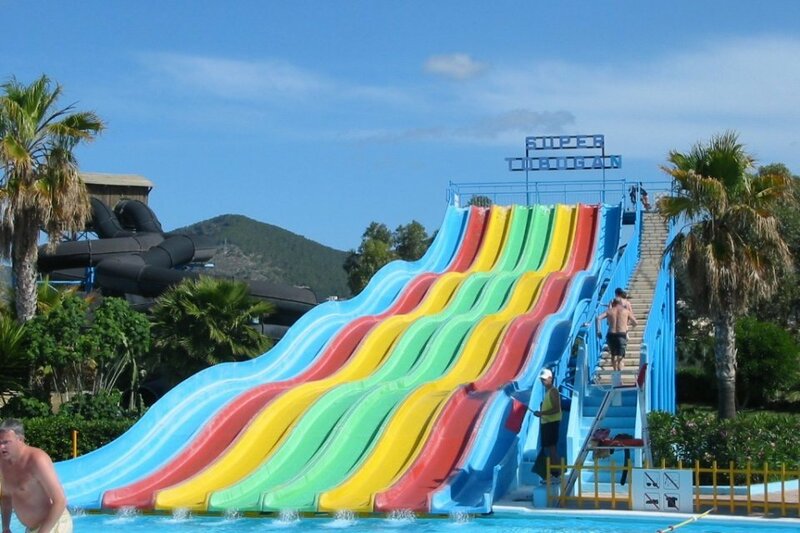 As Ibiza's biggest water park, there are slides for all sizes. So don't be nervous about bringing the little ones. There's also a restaurant and cafe or a picnic spot where you can take your own lunch. There's even a children's play area. For an adrenaline-filled alternative to the beach - and somewhere where you can still work on that tan - slide over to the Aguamar water park page for more info.